AP Technology is a specialist supplier of interconnect products including cable, connectors, cable assemblies, wire and wire management products. Having nearly twenty years of pedigree and a wealth of expertise AP Technology’s portfolio of clients include some of the world’s major brands with solutions deployed in a number of industries around the globe working in some of the most challenging environments. With ISO 9001:2015 accreditation AP Technology constantly drives for unparalleled quality and with client feedback we seek to evolve business processes to continue to deliver peerless service and innovative products. 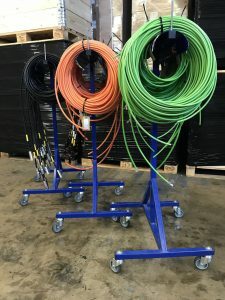 Whatever your requirement, AP Technology is able to lead your project from concept and manufacture through to delivery and after sales care offering a truly end to end custom cable solution. 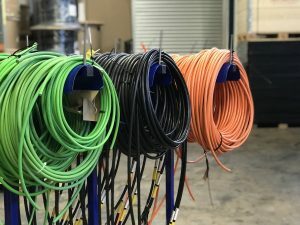 With our team of technical experts and a plethora of specialised equipment all work is undertaken, in-house, by AP Technology using world class products from specially selected suppliers who share our ethos making sure excellence is delivered as standard for your interconnect and assembly needs. Control, Power and Data cables sit at the core of airport operations. In a busy airport environment efficiency and safety are paramount at all times ensuring the critical operations of airport infrastructure, aircraft power, bridge umbilical, baggage handling facilities, computer networks, control rooms and emergency power perform reliably at all times. 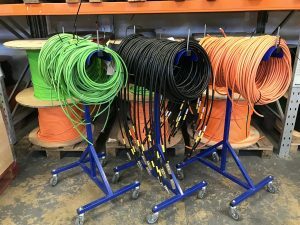 AP Technology’s cabling solutions are engineered to meet a wide range of industry standards in the supply of power, control and signal (or hybrid) to major infrastructure projects. AP Technology are based just outside of London near Heathrow and have supplied interconnection solutions to numerous airport infrastructure projects around the globe so clients can feel safe in the knowledge that we have the products and experience to meet the aviation industry’s most exacting product demands on both time and budget. 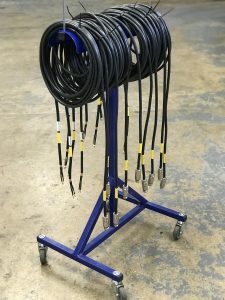 AP Technology offers nearly 20 year’s worth of experience in the design, creation and manufacture of bespoke cable assemblies for power and signal to deliver a product that meets your exact specifications. 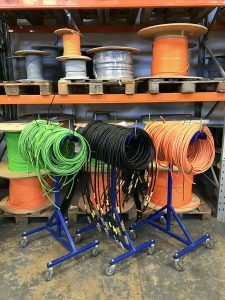 AP Technology prides itself on working with organisations to intrinsically understand your application to ensure that we gather the right data and deliver a solution that meets the electrical, environmental and approval parameters for the cable required. being tested to standards far beyond regular operating ranges on AP Technology’s custom equipment before being dispatched ensuring robustness and durability during the product’s operational life. 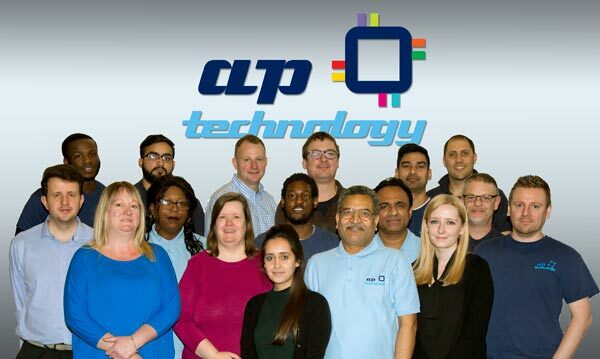 From the initial enquiry through to delivery AP Technology places a team of dedicated sales engineers at your disposal who will advise on the best product or solutions for your application including site visits, detailed drawings, spec sheets and samples. 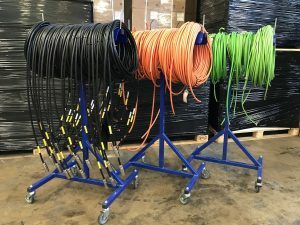 AP Technology holds over 10,000 product lines and 750 cable types in-stock (http://www.aptechnology.biz/products.php) from our partners who include TE, Intercontec, Bimed, Ilme, Hugro, Nexans, TecniKabel, and TKD so you can trust AP Technology to deliver those mission critical products when and where they are needed. Working with other carefully selected partners non-stock items can be sourced on short lead times or viable alternatives found through AP Technology’s cross referral service – http://www.aptechnology.biz/referral-service.php. 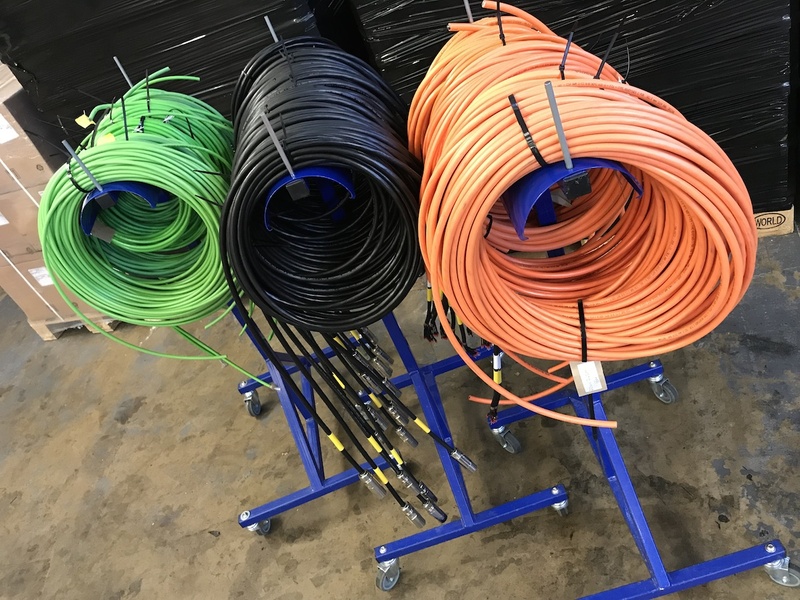 Whatever your need or application you can rely on AP Technology to support every aspect of your interconnection solution.